The Holiday Trail of Lights features 12 major points of interest showcasing millions of twinkling lights at Chattanooga’s top holiday attractions. Visitors will also get to enjoy a varied array of festivals, holiday events, delicious holiday meals, Santa sightings, shopping, and live music and entertainment scattered throughout the city. 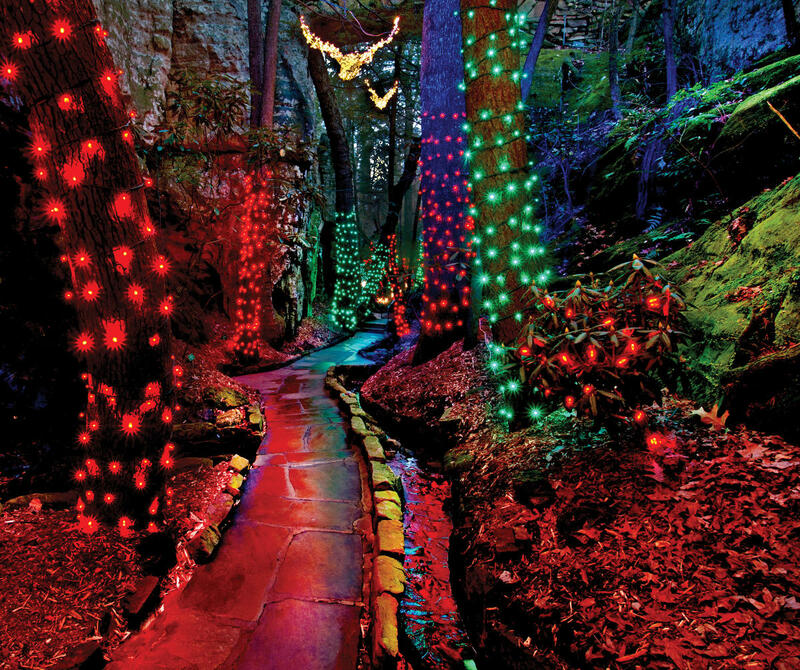 Discover the wonder of Ruby Falls Christmas Underground on a magical journey to visit Santa! Travel a secret passage to the North Pole where Santa’s Joystone miners are preparing for the holidays, walk through a glittering ice cave, see the Sugar Plum Fairy Village, play in snow flurries, and find your own sparkling Joystone on this heartwarming adventure. Experience the interactive festivities of Ruby Falls Christmas Underground as it returns for its fifth year. Fun for Santa believers and the young at heart. You know the holidays have started when the Tennessee Aquarium changes the lights on the glass peaks to red and white stripes. 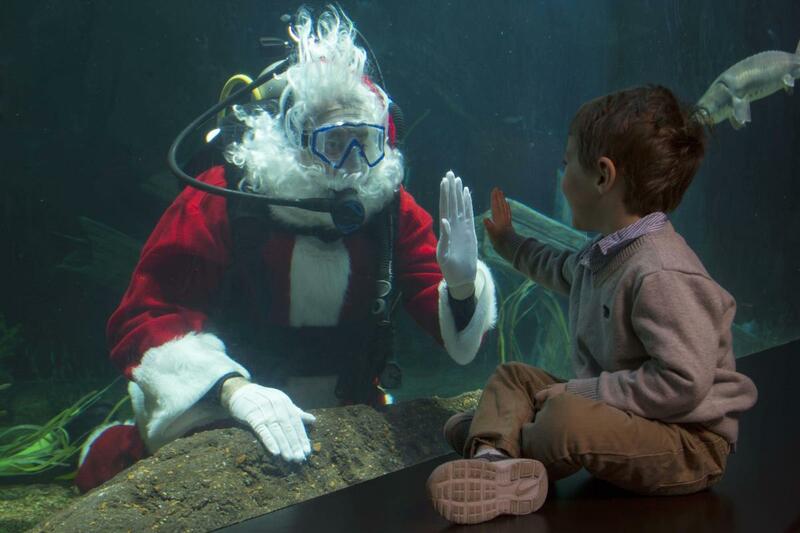 Head inside for some special holiday programming including interacting with animal experts, appearances by SCUBA Claus in the River Giants or the Lake Nickajack exhibits, holiday themed animal enrichment programs, and special opportunities for kids to get up close to creatures. The Polar Express 3D will be shown at the IMAX 3D Theater. The chilly weather, warm drinks, magical lights, and laughing at your friends as they tumble on the rink. That’s just one fun evening at the much-anticipated temporary outdoor ice rink is in the historic Glenn Miller Gardens at the Chattanooga Choo Choo. Schedule includes general skating time, special themes, holiday music, a rotating schedule to benefit local not-for-profits, and hot chocolate and Adelle’s Crepes. Ice on the Landing was named Best Outdoor Rink in Tennessee by Step Outside. Don’t miss the New Year’s Eve Late Skate! Hop on board the Tennessee Valley Railroad Museum’s North Pole Limited for an imaginary journey to the North Pole where a “special guest” will join the group. Along the way, you’ll be treated to a number of lighted displays outside, refreshments, keepsake, storytelling, and occasional sing-a-longs. During the return ride, Santa makes his way through the train cars to greet every child and present them with a keepsake item. 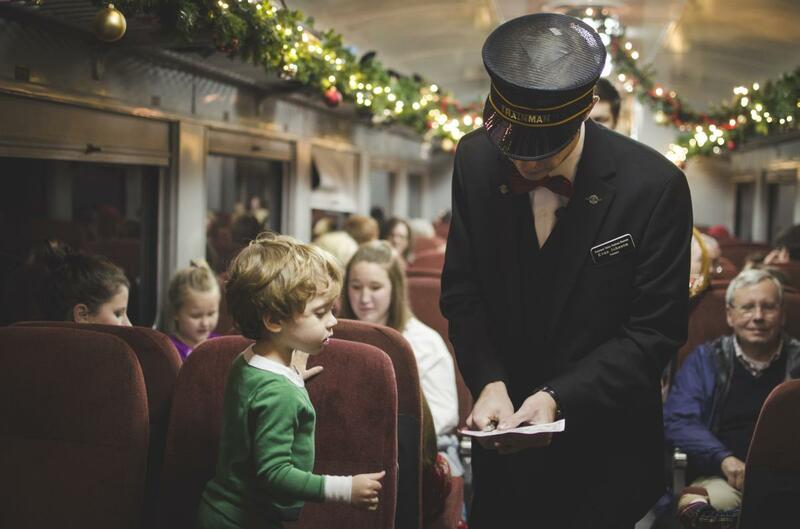 Be sure to check out the other special holiday excursions: Nightcaps with St. Nick (adults only), Christmas Dinner Train, Summerville Santa Special, Santa’s Hiwassee Holiday Train, and New Year’s Eve Dinner Train. View the thousands of twinkling lights in snowflake form along the Walnut Street Bridge, one of the longest pedestrian-only bridges in the world at 2,370-feet. The bridge connects downtown Chattanooga with the vibrant historic North Shore District and offers incredible views of the Tennessee River. Both ends of the bridge offer a variety of shopping, green spaces, dining, attractions, galleries, and more. 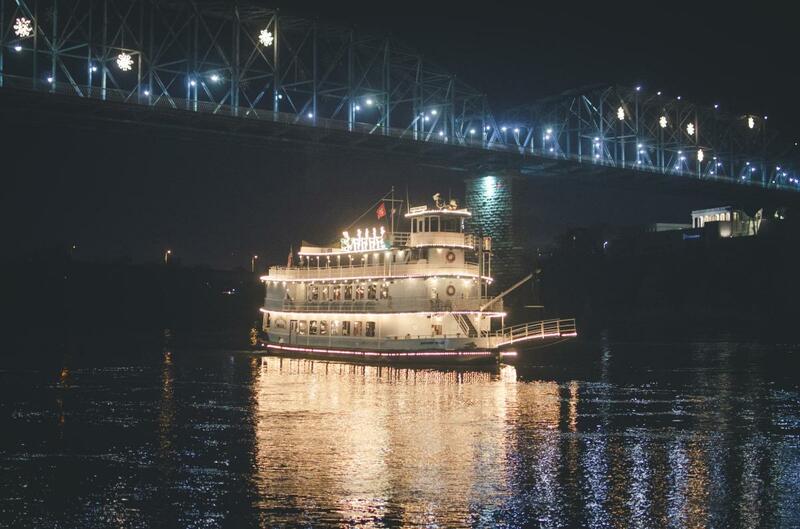 Travel down the Tennessee River aboard the Southern Belle Riverboat for a truly unique holiday experience! During the lunch and dinner cruises, guests will have fun listening to live music, dancing, hanging out with Santa, learning more about river navigation on a Pilot House tour, and indulging in holiday meals of sage-roasted turkey breast, sweet potato casserole, and much more. Don&apos;t miss the community event Holiday Cheer at the Pier featuring a lighted boat parade (40+ boats), local crafters and food, visits from Santa Claus, and fireworks sponsored by the Southern Belle Riverboat. Come see the Chattanooga Zoo transformed into a magical winter wonderland where you can view hundreds of lights that weave through the habitats. 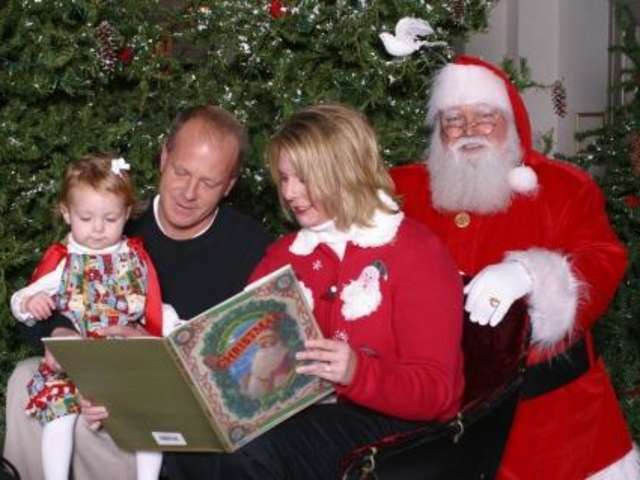 Throughout the special evening, you can visit the animals and watch them open their Christmas presents, decorate cookies, get your picture taken with Santa Claus, play holiday games, make special crafts, enjoy delicious treats, and much more. During the holidays, you typically view the beautiful lights while walking or driving. At High Point Climbing and Fitness downtown, experience the lights of Chattanooga in a whole new way by scaling an architectural wonder glowing with holiday colors – the transparent exterior climbing wall that hangs over Broad Street! Named “the country’s coolest gym” by Climbing Magazine, High Point is one of the nation’s most unique climbing facilities with 30,000 square feet of climbing inside and outside. BONUS: While you’re climbing the exterior wall, you can see the magical lights throughout the city! 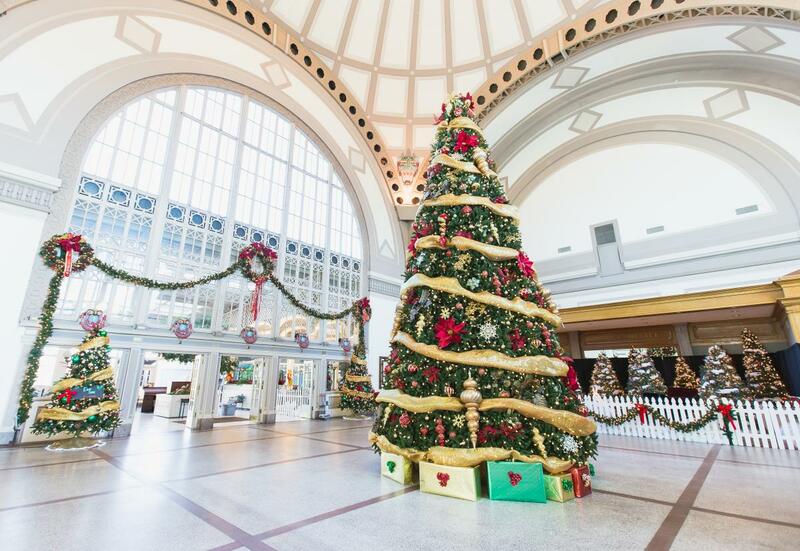 As if the famous free-standing dome lobby of the Chattanooga Choo Choo isn’t impressive enough, they are showcasing one of the city’s tallest Christmas trees standing in at 28 feet. The lights and festive cheer throughout the property create a magical wonderland complete with ice skating at Ice on the Landing, holiday music, Station Street, special holiday treats at restaurants, shopping specials at retail shops and special pop up stores, pictures with Santa, and the Lookout Farmers’ Market. While on site, enjoy live music at Songbirds Guitars’ North and South Stages, comedic fun at the Comedy Catch, and even a Runaway Train Escape Experience. The Bluff View Art District, nestled on the bluff overlooking the Tennessee River, has transformed into a storybook holiday experience with thousands of twinkling lights. The magic takes you along stone-paved walkways throughout the District, through the Enchanted Forest, around nooks and crannies decked out in red and white seasonal delights, down Candy Cane Lane into the courtyard, on adventures with the little elves Rosemary, Basil, Cocoa, and Cookie, and to the Mezzo to see the grand Christmas tree. Holiday lights come in all forms and at the hands-on Creative Discovery Museum, kids get to create their own! In the Make It workshop, kids can make and take their own Lit Holiday Card with LED lights, copper tape, and a watch battery. The Art Studio will feature daily light-related art. Learn about Japanese culture in the new playful and immersive exhibit, Hello From Japan! Explore two distinct areas of Tokyo to see how old and new traditions coexist today. The Trail of Lights is best experienced when you spend a couple of days. Here are a few special holiday packages that offer overnight accommodations, tickets to holiday attractions & events, restaurant vouchers, and even some chocolate-covered strawberries and champagne.